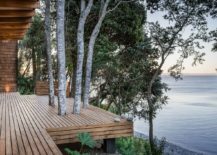 Chilean Patagonia is a landscape that evokes images of stunning mountains, vast deserts and dense forests – all wrapped in a seemingly hostile and thinly populated environment. 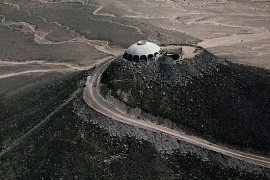 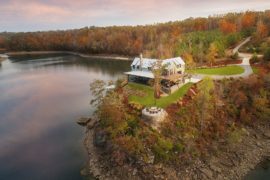 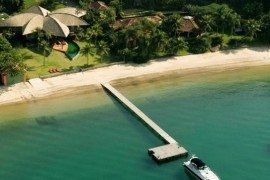 But it is also the setting to some of the most beautiful, panoramic scenery that one will ever come across and Casa LM sits on a small chunk of this natural paradise. 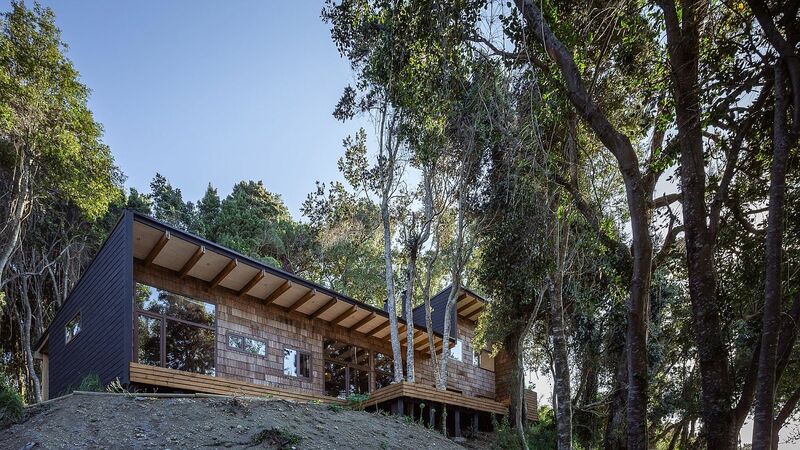 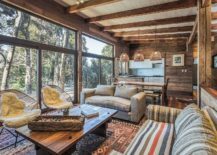 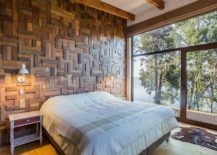 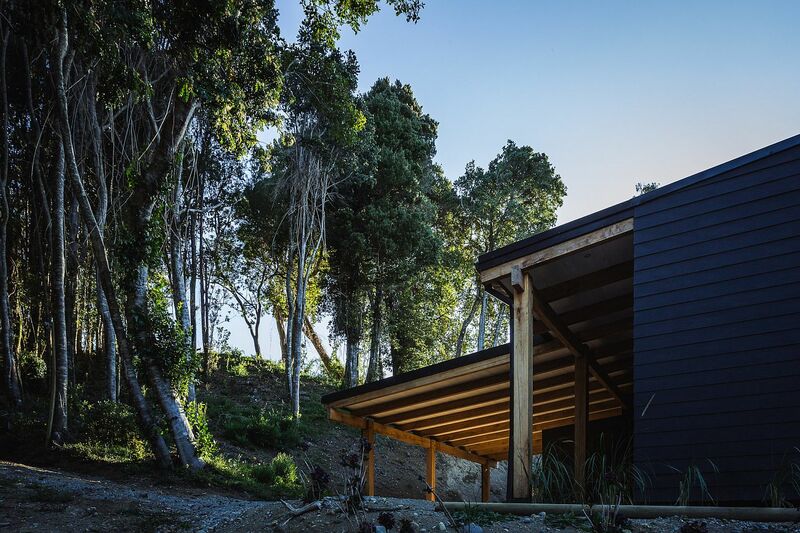 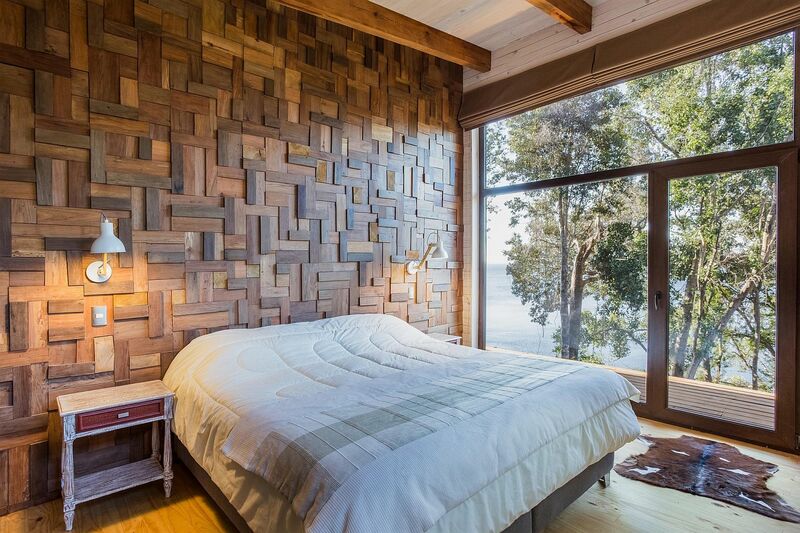 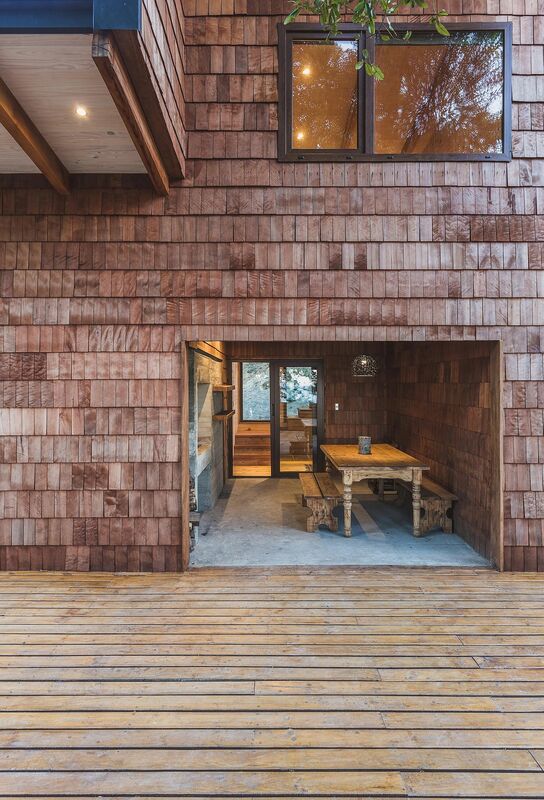 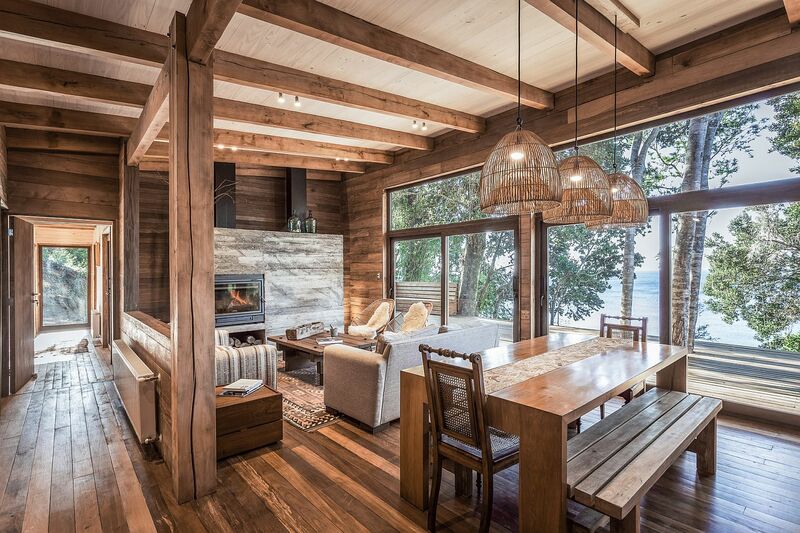 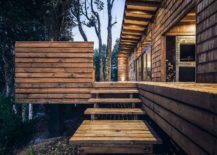 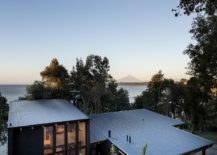 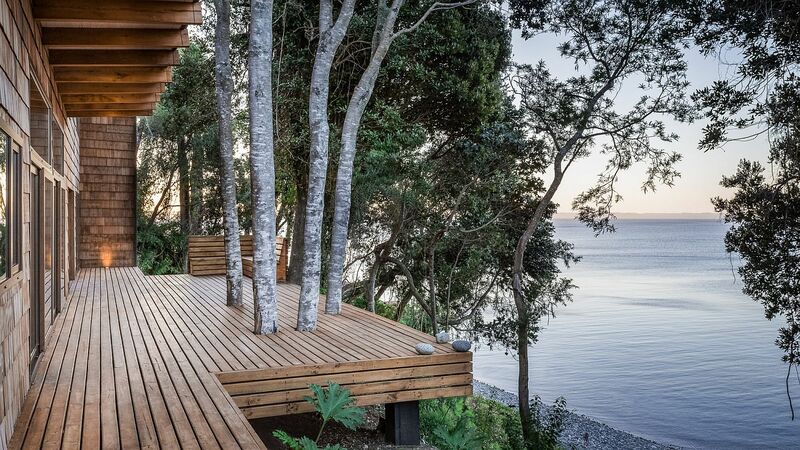 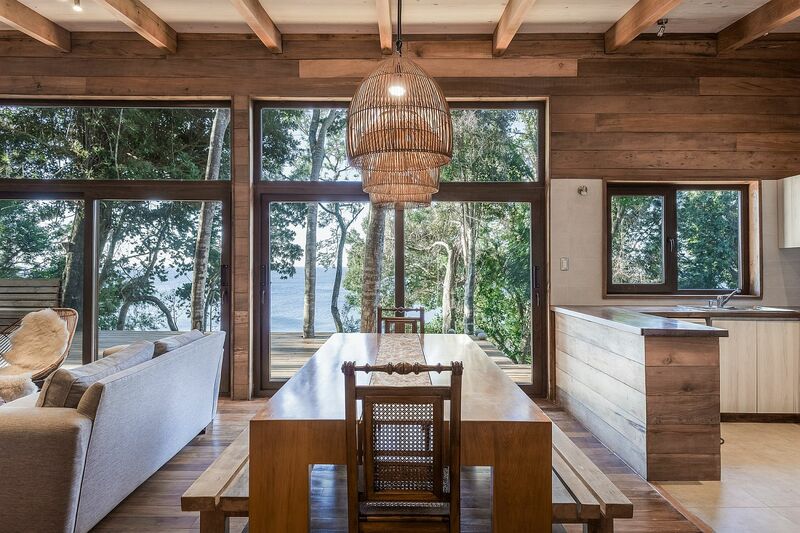 Nestled next to the tranquil and mesmerizing Lake Llanquihue and with an imposing volcano making its presence felt in the backdrop, this contemporary home designed by Juan Pablo Labbé has it all! 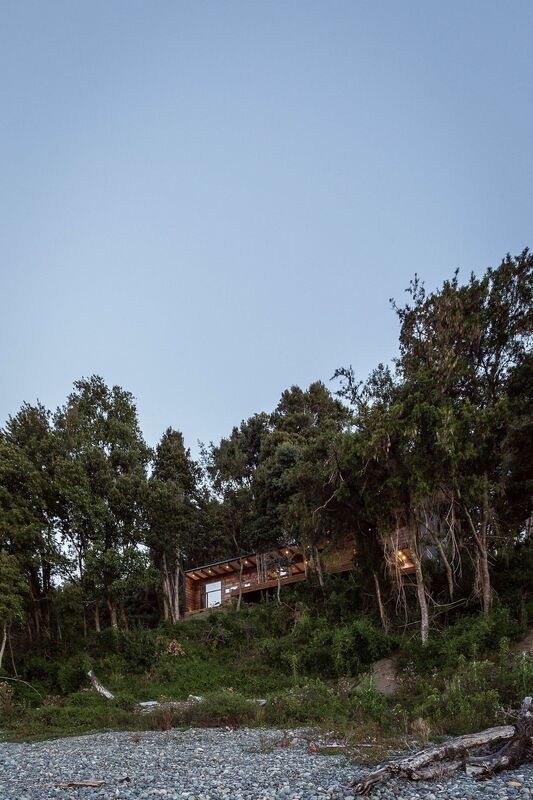 A rocky bank of the lake that feels relaxing, a majestic volcano in the distance that greets you each morning and the gentle presence of a lake; everything one could ask for seems to be present in this tiny pocket of natural greenery. 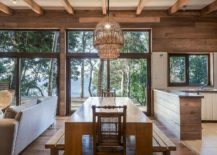 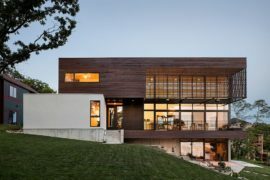 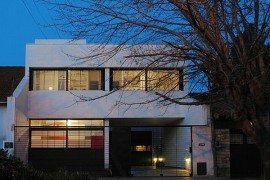 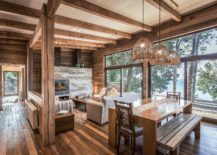 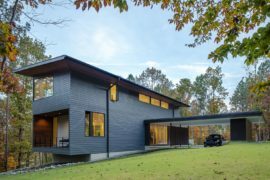 The house itself is a combination of contemporary design and woodsy warmth with straight lines and crisp finishes accentuating modern flair. 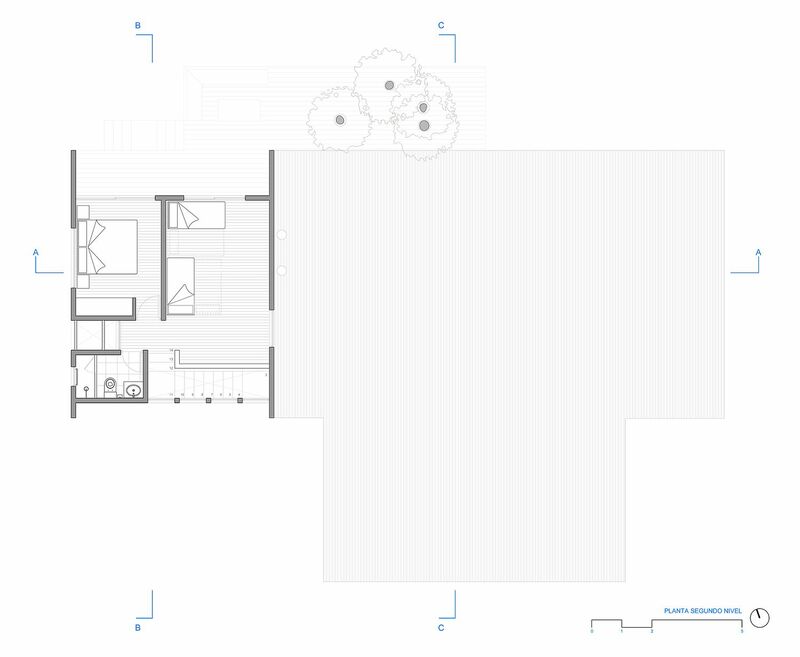 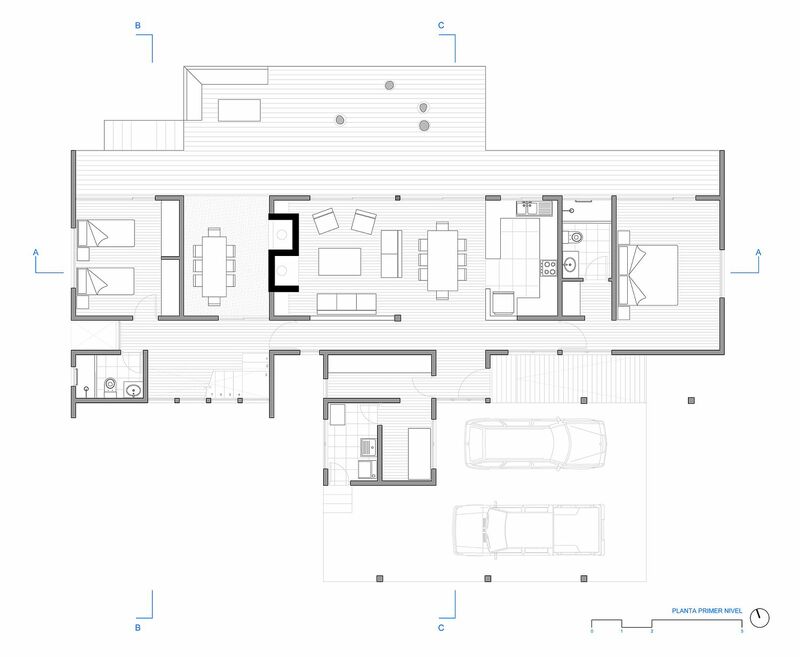 A central axis of bedrooms within the house makes up the private zone and easily holds the large family of 6 while the exterior spaces serves as living area, dining room, kitchen and other social zones. 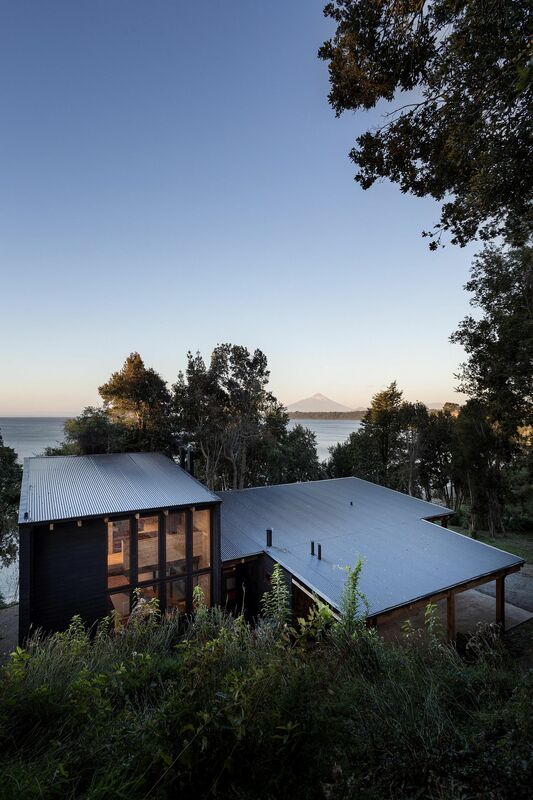 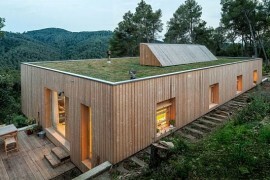 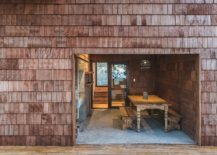 For the exterior facades, a coating of black fiber cement was proposed to give an imprint of typical barns of the region, and generate a contrast with the interior. 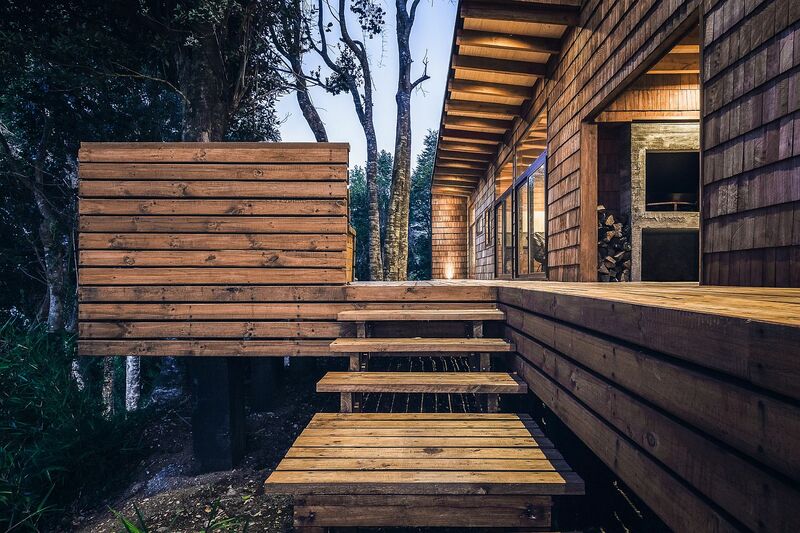 Finally, a tejuela coating on the north facade, a typical material of the Patagonia and where the biggest interaction happens during the summer months..